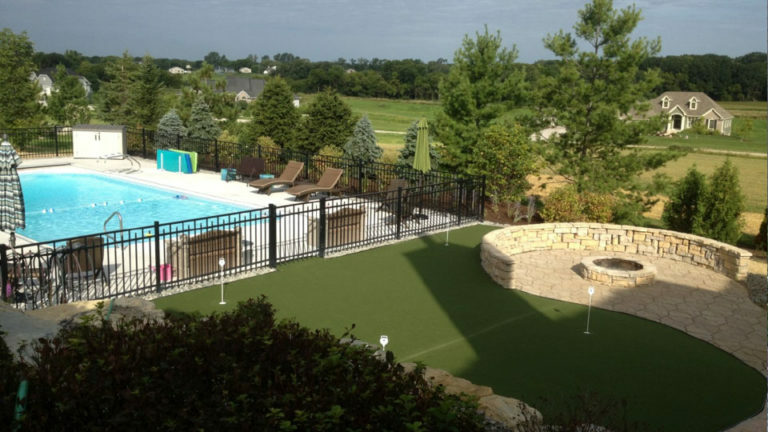 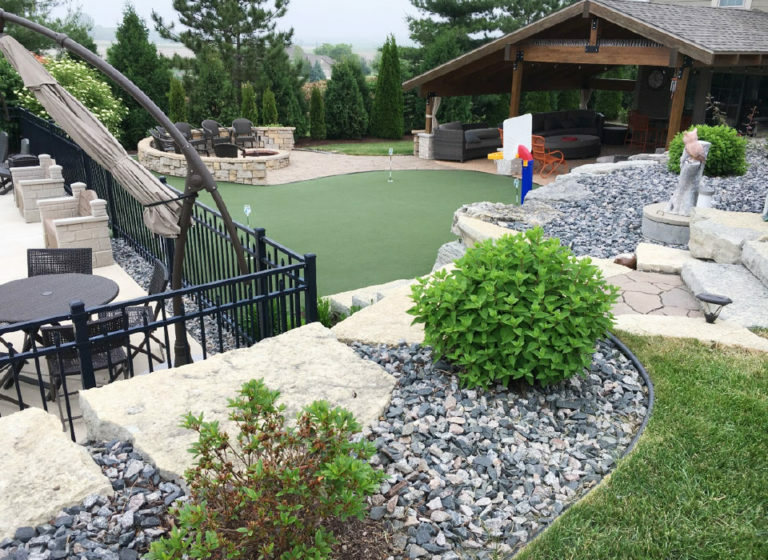 Creating an outdoor space that enjoyed the combination of water relaxation, sports activities, and a golf putting green. 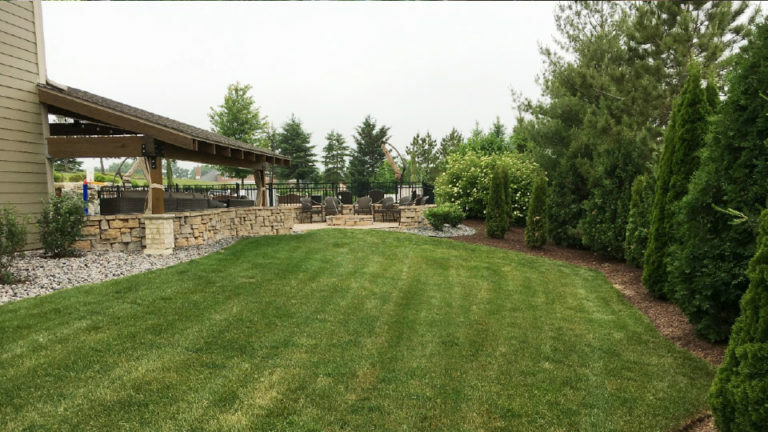 The existing walkout basement area was transformed into a sitting area under a pergola. 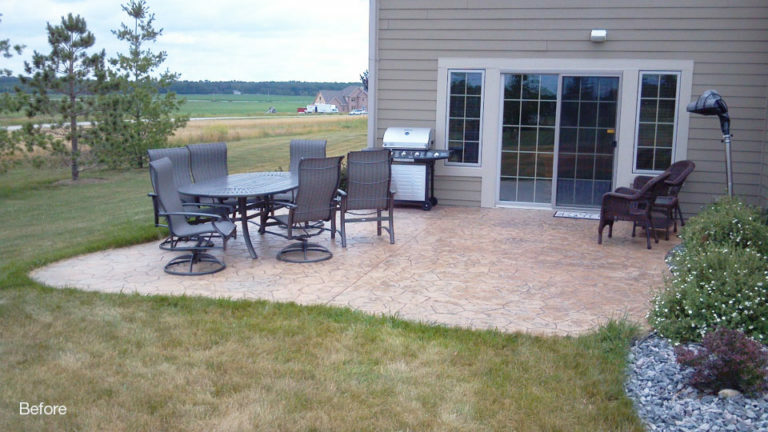 An outdoor grille station was built for the family to entertain family and friends in comfort.